Fly to Keflavik International Airport and transfer to the Fosshotel Lind, located in the heart of Reykjavik. The remainder of the afternoon and evening is at your leisure to sample the delights of this vibrant city. Eat an early breakfast and check-out for your 07.45 meeting with your guide and fellow travellers, before an early transfer to Reykjavik domestic airport and the short 45-minute flight to Akureyri, the capital of North Iceland. After exploring this charming town, it is on to Goðafoss, waterfall of the Gods. 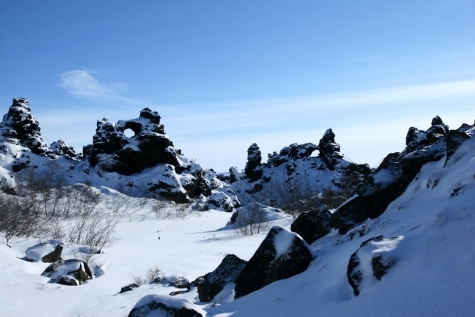 Next stop is Lake Mývatn, stopping off to walk through the bizarre lava formations at Dimmuborgir. Overnight and dinner is at Sel Hotel Mývatn, where the evening is spent learning about the Northern Lights and relaxing at Mývatn Nature Baths. Iceland’s largest forest, a perfect setting for hunting the Aurora. After a walk through the arboretum, you will head to the charming sea-side village of Eskilfjördur. Here, you will visit a seaman’s lodge and, subject to strong stomachs, taste the locally produced shark meat, dried fish and Brennivin schnapps. Later, visit the local Aurora museum where a local photographer and Aurora hunter will show you some amazing Northern Lights photos,and tell you all about their personal Aurora encounters and if the weather conditions are suitable,they will lead you to a secret Northern Lights spot just outside the village. Dinner and overnight at Fosshotel Eastfjords. Today’s epic 385 km journey winds through dramatic fjord landscapes and tiny fishing villages, before arriving at Jökulsárlón Glacier Lagoon, filled with sculpted floating icebergs. 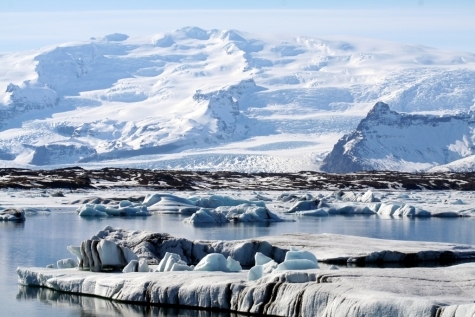 Continue through Vatnajökull National Park before arriving at your accommodation the Foss Hotel Glacier Lagoon for the night. This remote location is a renowned Aurora area, so be sure to keep a watch for a swirling display of lights. Marvel at the varied landscapes of the South Coast, including black sand beaches, mountainous cliffs and some of Iceland’s most impressive waterfalls. 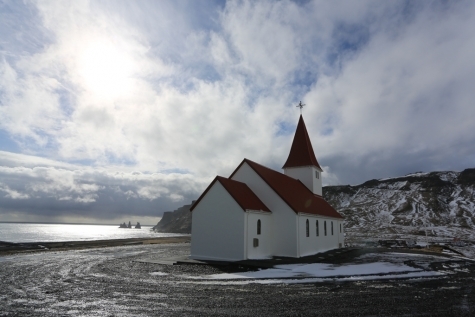 A visit to the Eyjafjallajökull Information Centre is an enlightening experience. Overnight in the region and where after dinner, you can keep an eye out for an overhead dancing display of the Aurora from the hotel’s outdoor hot tubs. 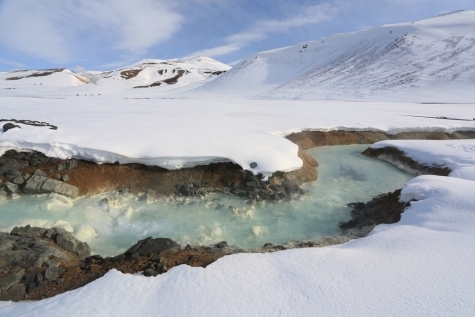 Today you will visit a trio of Iceland’s most iconic sights. First the Geyser geothermal pools, then Gullfoss waterfall and on to Thingvellir National Park. This is followed by the highlights of Reykjavik, before overnighting at the Fosshotel Lind and dining at one of the many local restaurants (payable locally). Enjoy a leisurely breakfast before returning to Keflavik International Airport for your return flight home. Total driving is approx 1310 km with an average of 219 km per day. An average of 3 hours per day is spent on the bus, but this is of course dependent on weather, road and traffic conditions. Every effort is made to follow this itinerary, but winter in Iceland and severe weather can result in delays or last minute cancellations. Any change to the itinerary is not taken lightly and is made with your comfort, health and safety in mind. Return international flights from a choice of regional UK departures.